Magazinzoo.com Reviews Could robots take over from financial advisers? Could robots take over from financial advisers? People think of robots in terms of the whirring, clanking metallic silver creations of 1950s sci-fi movies. You almost certainly wouldn’t want one of these looking after your investments. But today we trust automation in manufacturing and many other areas, so why not finance? Of course, you wouldn’t expect to sit across a desk facing a robot over coffee to discuss your retirement plans, but there’s no reason why computer-based formulas and artificial intelligence shouldn’t be able to make the decisions needed to manage a portfolio. Indeed, artificial intelligence could take over many jobs in financial services in the coming decades – https://www.theguardian.com/money/2015/nov/08/financial-advice-robot-automated-treasury-fca-service. When you sign up for robot financial advice, you’ll usually need to complete a questionnaire. This will gauge your attitude to risk, your investment targets and any preferences you have for particular investments. They will generally offer a choice of portfolio options from safe and conservative to risky and aggressive based on your answers. 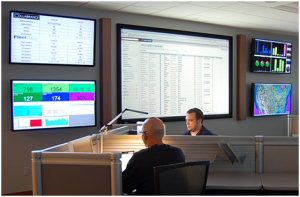 All of this is handled using back office systems for financial advisers from suppliers like https://www.intelliflo.com/ who specialise in this sector. Robot trading generally uses existing funds that track an index. This means you’ll be paying the fund manager’s charges as well as the robot adviser’s fee as robot advice isn’t free, though you’ll pay less than for human investment advice. You can generally expect to pay a 0.25 or 0.5 percent management fee, however, you won’t usually pay transaction fees on top. 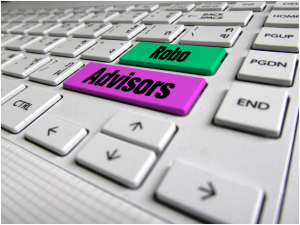 Most robot advice services aim to automate investment management so it can be done at a lower cost. This means the adviser will come up with a recommended portfolio that is in line with your stated investment goals. This portfolio will be rebalanced – either continually or at regular intervals – to ensure that it stays true to its original plan. The system will often include additional tools such as retirement planning or savings calculators, allowing you to stay on track to meet goals like paying off a mortgage or meet your pension needs. If you don’t want to rely entirely on machines to look after your investments, there are also hybrid services that combine automated advice with some degree of human intervention. These cost a little more but are suited to customers who aren’t ready to commit their portfolio entirely to machines.